The use of electronic health record (EHR) systems has become widespread and it’s changing the way physicians deliver healthcare. The demand for organizations to be more efficient and patient-centered means being able to leverage technology to eliminate redundancies, reduce errors and manage daily operations effectively. In today’s evolving healthcare environment, it’s essential for providers to stay current with technology. 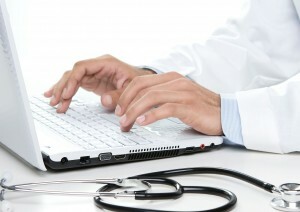 Don’t get left behind when it comes to Health IT. Go digital now – Medicare reimbursement penalties went into effect in January 2015, and will continue to increase annually. Prepare your practice for value based reimbursement models. Let the HealthARCH team of experts help you streamline operations and reduce expenses with EHR evaluation, selection and implementation. We know every organization is different. Our account managers spend time getting to know your organization, your workflow, and your needs for a customized hands-on approach. We will create a work plan specific to your organization. A dedicated account manager will be assigned to you to advise and guide you through the entire EHR selection and adoption process. Our healthcare professionals are informed and trained in the latest policies and changes in health care reform. We work directly with government Health IT agencies including the Office of the National Coordinator, the Centers for Medicare & Medicaid Services, and Florida’s Agency for Health Care Administration (AHCA) to keep you up-to-date on how new policies can affect your organization. Contact HealthARCH today for your FREE initial consultation. To learn more about our services, email joinhealtharch@ucf.edu or call 407.266.4000. The University of Central Florida College of Medicine Regional Extension Center in partnership with The Office of the National Coordinator for Health Information Technology (ONC). U.S. Department of Health and Human Services.